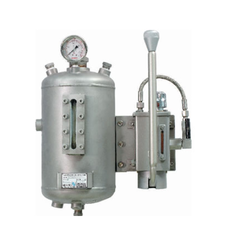 In order to cater to the requirements of patrons, we are engaged in offering Thermosyphon Systems that is used for storage & pressuring unit. Offered systems are used with double mechanical seals in back to back order. For bringing down the temperature of barrier fluid coming from seal to thermosyphon, these systems are equipped with cooling coil. Looking for Thermosyphon System ?